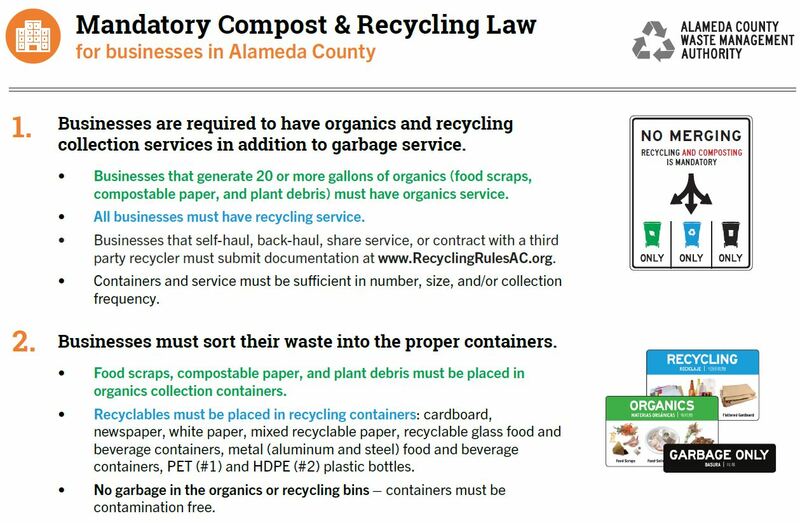 For an overview of the recycling rules that apply to private schools in Alameda County, see the Businesses & Institutions Ordinance Overview page. To order or change recycling or organics collection service for your school, public schools should contact the District’s Director of Maintenance and Operations. 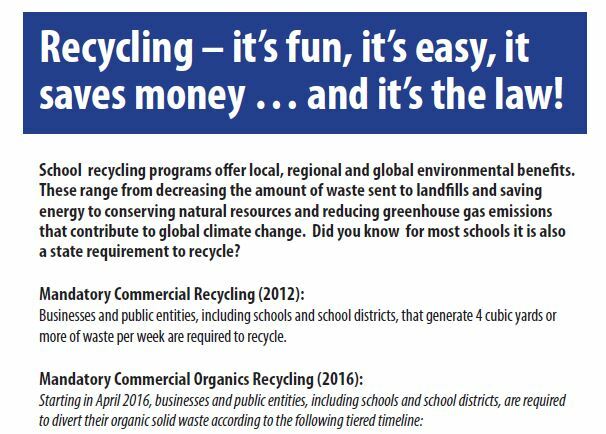 Private schools can visit your city’s Recycling Rules page for service provider contact information. For additional support setting up or improving your school’s recycling program or help educating staff and students about proper sorting please refer to our School Help Pages at http://schools.stopwaste.org/tools/set-up-school-recycling/overview.html. 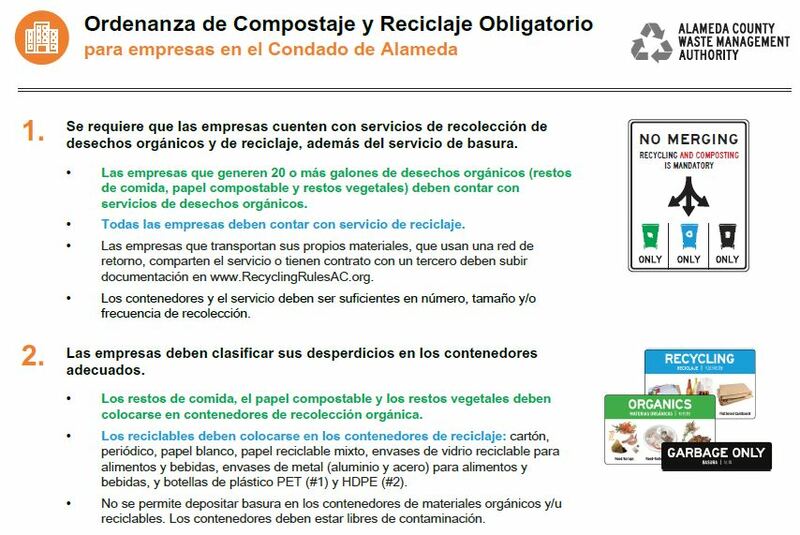 *Note: State agencies such as state government facilities, public schools, and special districts are not covered by the Alameda County Mandatory Recycling Ordinance. 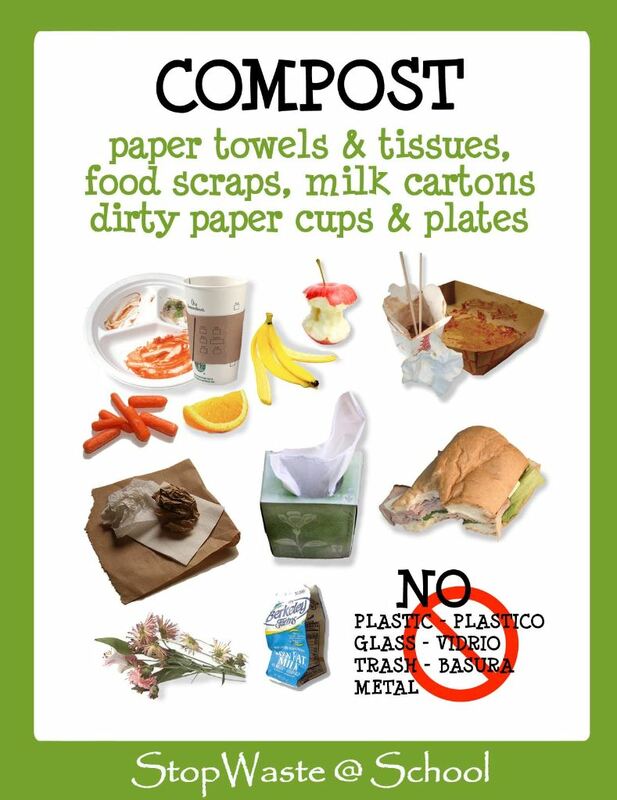 State mandatory recycling and composting laws AB 341 and AB 1826 may apply. Click here for more information. This 1-page handout summarizes the compliance requirements for and highlights resources available to help businesses and institutions comply with the Ordinance. For more details about the compliance requirements in the various Alameda County jurisdictions, go to Rules by City. 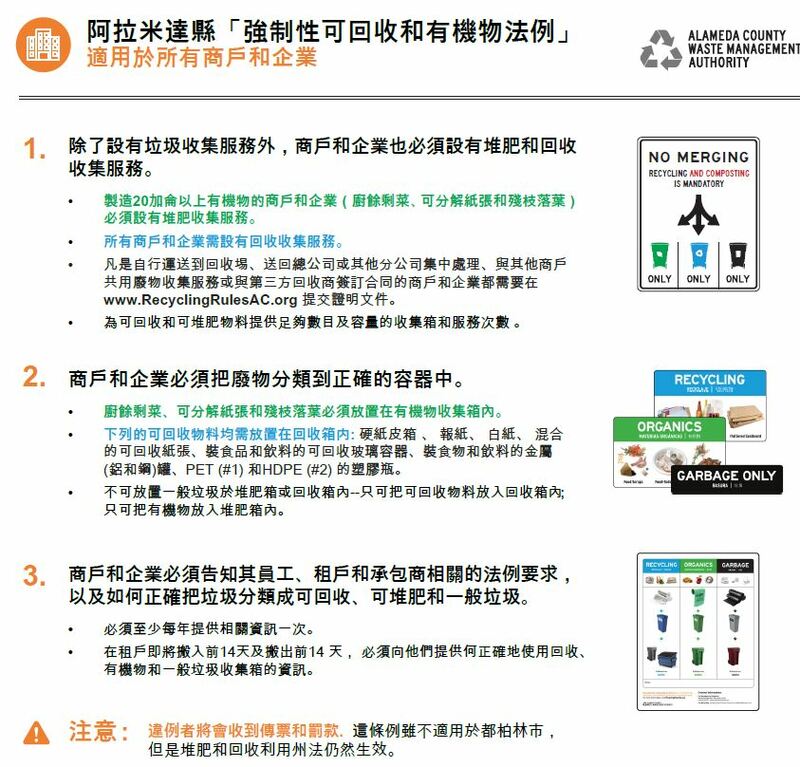 This guide was developed for businesses and institutions to explain how to comply with the Mandatory Recycling Ordinance. Includes tips for success and case study examples. Content is relevant to schools as well. 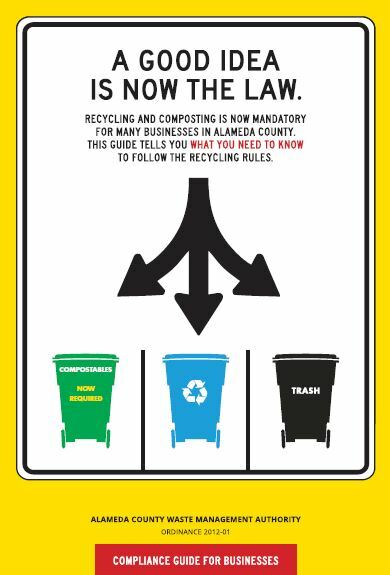 While Alameda County’s Mandatory Recycling Ordinance does not apply to public schools, there are two State laws that require recycling and composting at public schools and districts. Effective January 1, 2019, the State requires more sites to have organics collection service; schools that generate four or more cubic yards of garbage per week must have organics service. This notice provides an overview of the State laws as of January 2019 with links to resources and more information. This one-page flyer produced by the State agency, CalRecycle, provides an overview of the rules that apply to public schools and districts. Additional information can be found online at www.CalRecycle.ca.gov/ReduceWaste/Schools. To help communicate the Ordinance requirements with non-English speakers, the Overview Flyers have been translated into Spanish, Chinese, Korean, and Vietnamese. They provide a one-page summary of the Recycling Rules and resources available. 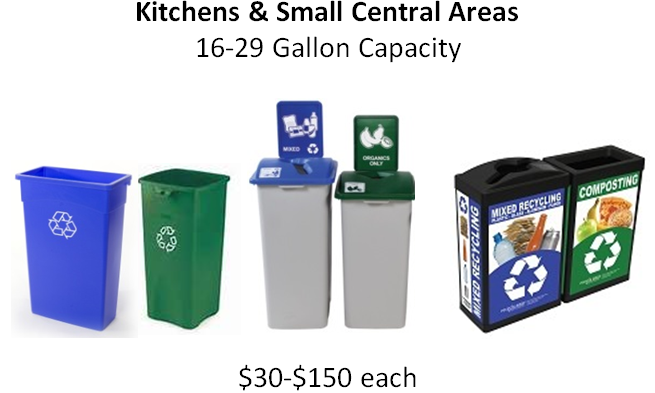 This customizable letter provides useful site specific information describing where recycling and composting containers are located and how to use them. The Mandatory Recycling Ordinance requires that employees and contractors be notified of this information at least once a year. Use prominent posters or stickers that contain drawings or pictures of the materials that go into each container. Be sure to clearly indicate which bins are for garbage and which are for recycling and composting. Click here for downloadable classroom signage specific to your school district (select your district from the list on the right side of the page). 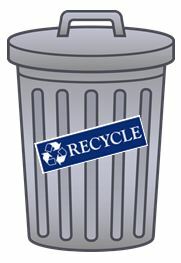 If you’d like customized signage to meet your school’s needs, you may use any applicable general signage available at http://schools.stopwaste.org/tools/set-up-school-recycling/effective-bin-labels/downloadable-bin-labels.html. Investigate the waste stream on campus by auditing a sample of trash cans, identify a waste challenge (recyclables in the garbage, too much wasted paper, food scraps, etc. 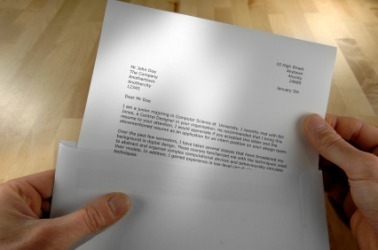 ), organize a waste reduction campaign, then reflect on results. Click here for guidance on conducting a waste audit at a school. With more than 500 students, Bay Farm School in Alameda went from sending 7-8 barrels of trash to the landfill every day at lunch to only one! 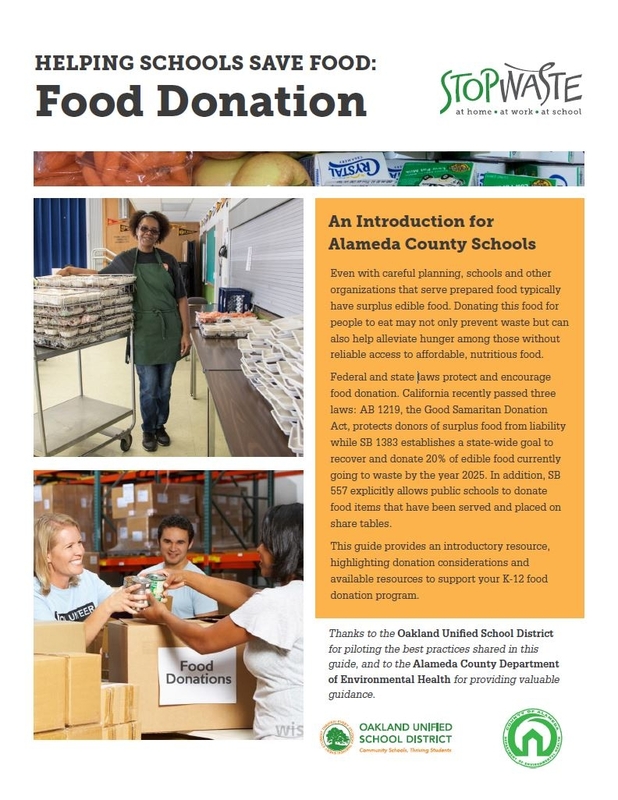 Click here to learn how they did it in this step-by-step guide to food scraps collection at school. Effective recycling systems at schools depend on a variety of bins to allow students to separate trash from recyclable and compostable materials. If purchasing new recycling containers isn’t an option, click here to for this article shows how to convert existing trash containers or make your own recycling and composting bins. This 2-page flyer contains guidance about the purchase and placement of indoor containers that support recycling and composting collection programs. A worksheet for use in assessing what trash, recycling, and composting containers you already have and what you may need for each room, area or floor. Shopping for indoor recycling or food scraps/organics bins? 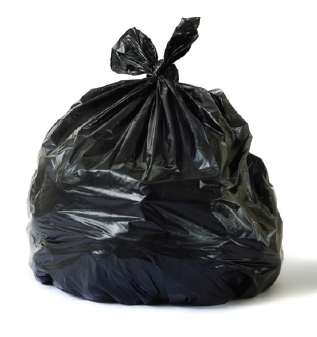 Browse this list of bin suppliers. 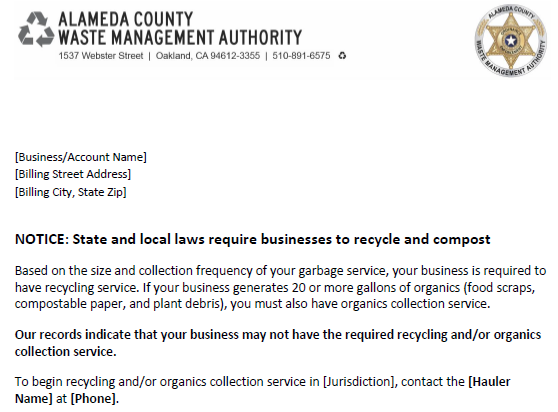 Note that this is not a comprehensive list of all vendors, and that the Alameda County Waste Management Authority does not endorse particular vendors. 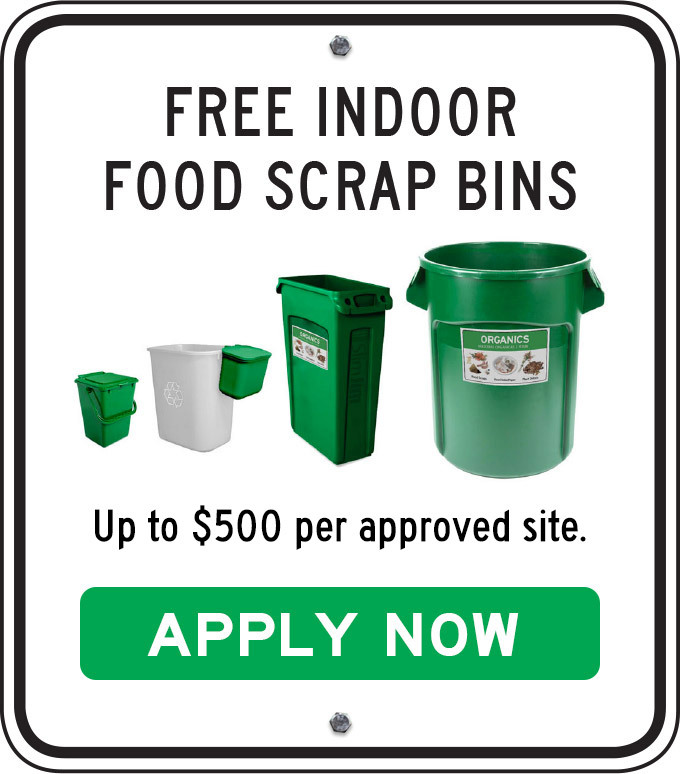 If you need indoor food scraps/organics bins, you may also apply online here to possibly receive up to a $500 value of free containers from one of three pre-selected suppliers. 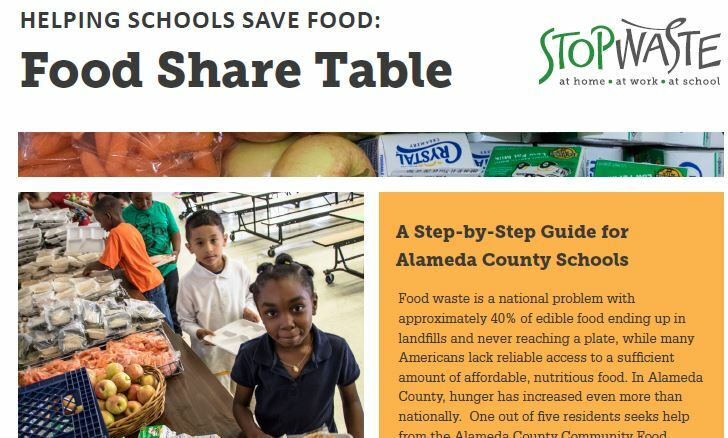 Step-by-step instructions to setting up a food share table where students can place unwanted, sealed or uneaten food items for other students and for donation. 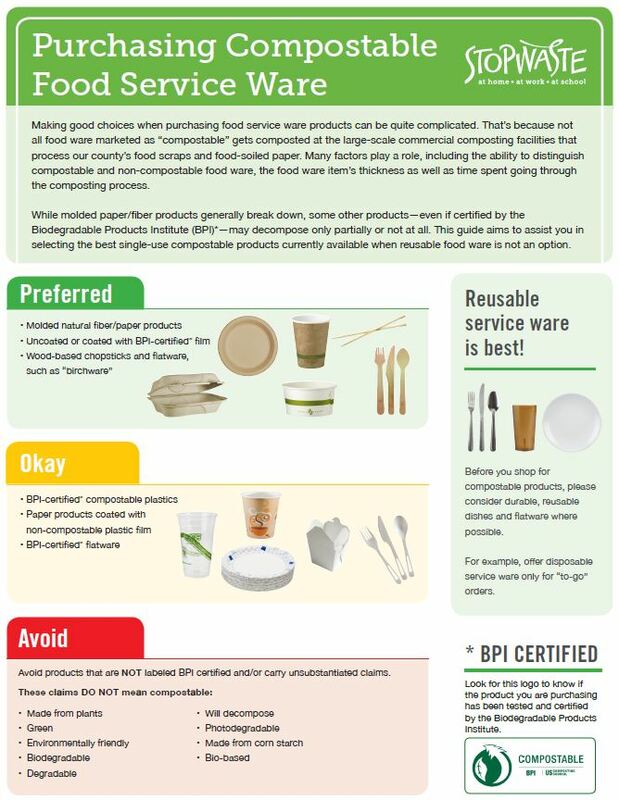 Provides purchasing guidance for single use compostable food service ware items that can be placed in the organics cart/bin such as plates, cups and cutlery. 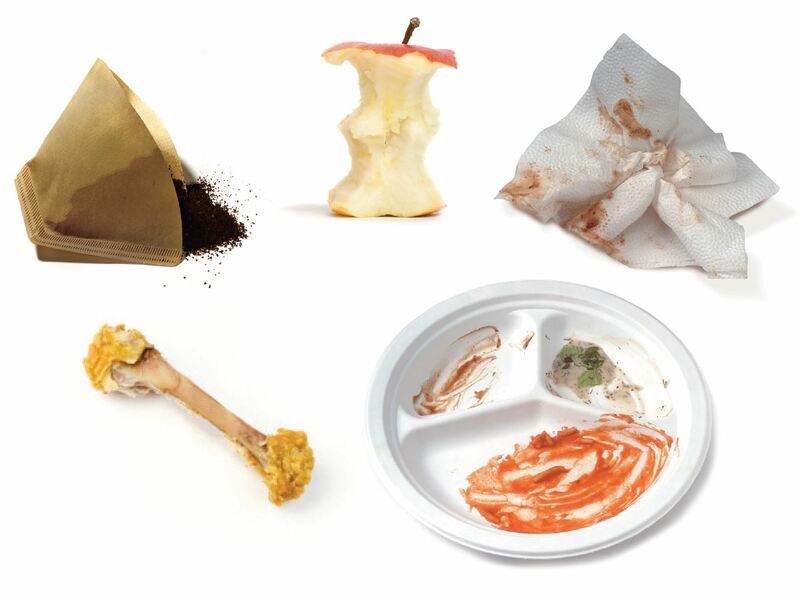 For a limited time, non-public K-12 schools (private, vocational and charter schools, preschools and colleges) are eligible to receive free indoor food scrap bins for the collection of food scraps, compostable paper and plant debris (“organics”). A variety of containers and lids are available–up to a value of $500 per approved site! Click here to get additional information and/or to fill out the online request form. Some schools choose to compost food scraps and plant debris on-site in traditional compost piles or bins, in addition to subscribing to curbside collection of organics for all remaining materials. 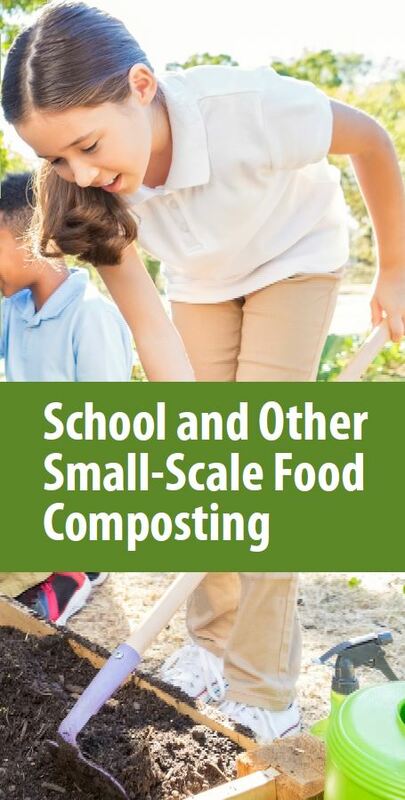 This two-page guide provides an overview of the new State laws that are in effect for schools and other small-scale composters.